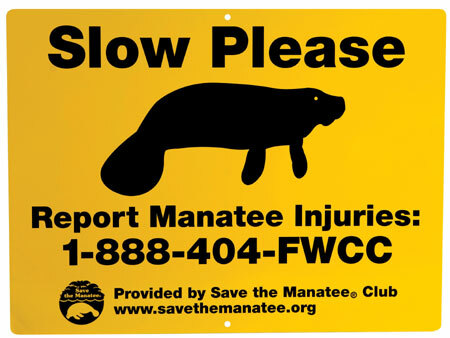 Save the Manatee Club works to safeguard manatees from watercraft collisions or other human-related injuries by producing and distributing Free Public Awareness and Educational Materials. We have a public awareness sign for shoreline property owners and one for state, municipal, and county parks; marinas; and other sites where human/manatee interaction can be a problem. 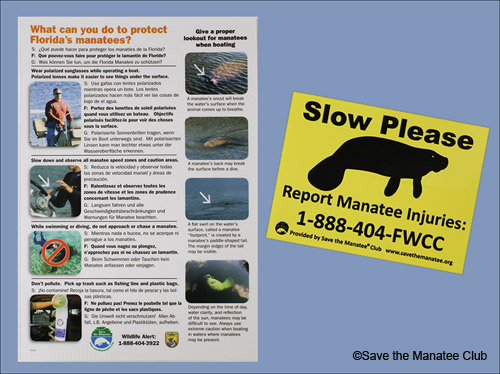 We also offer a boating safety packet, including a boat decal with a number for reporting injured manatees and a waterproof manatee protection tips card, a waterproof boating banner, and a manatee alert app. In addition, posters are available for businesses, organizations, schools, or libraries. 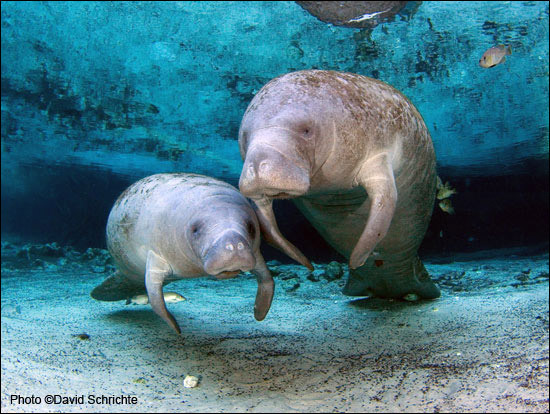 A manatee protection tips brochure and online course in springs conservation are offered for the general public. We have a number of additional Resources for Boaters, including manatee protection tips, information on boating safety classes and how to report an injured manatee, links to protection zones and speed zone maps, videos, and more. Tips for Swimmers and Divers are also available, including a Manatee Q & A, and a link to a free manatee protection tips brochure. Click on the images or links on this page for further information.